Tag Archives for " guest blogging "
First let’s define what a guest post is in the context of this post. A guest post is high-quality, often original, content that your readers, or the readers of another site, finds useful. All that to say it’s not a spammy, content farm method for getting links. So, when Google’s Matt Cutts wrote – “The decay and fall of guest blogging for SEO,” he was referring to a kind of guest posting that SEO folks had developed for the purpose of gaming Google – not what I’m suggesting today. The key to building traffic is to take advantage of someone else’s traffic first. Creating awesome content that other’s may want to feature on their site must be about 50% of your content marketing output if you are trying to build traffic. It takes work to produce content that a high-quality site will accept on behalf of their readers, but if you’re producing that kind of content already why not give it a bigger audience. Below are six approaches you can use in some fashion to create an ongoing guest contributor strategy that, if you invest in, will pay off in ways that writing yet another post for your low traffic site ever will. Perhaps that most potent guest posting play I’ve used over the years is to create an asset like an eBook and offer it to businesses that already have a client base I would love some exposure to. By reaching out and offering to allow a site to cobrand and “giveaway” my eBook I’ve gotten exposure, referrals and email list signups in ways that no other form of guest content could produce. Brian Dean of Backlinko has a great post about sharing what he calls “guestographics” that uses infographics with custom introductions as bait for guest opportunities. So often when people think about guest posting they right for the who’s who of sites. Well, guess what, if you want to post on Social Media Examiner or Mashable, you better already have some serious brand authority. Everyone wants to write for influential sites and there’s nothing wrong with that, but better to do your research and find sites that are much smaller but very well niched. Quite often you’ll find niche sites with much more engaged readers than those high traffic, high output sites like Huffington Post where your content will get buried. By find using tools like BuzzSumo or Pitchbox to find influencers in smaller niches and then pitching them highly niched topics – think 5 ways that life coaches can use Blab to build social media status pitched to a life coaching tips blog rather than a more generic approach to a general marketing blog. Think about the key areas, topics, themes and keywords related to your business or industry. If you’re an accounting firm focused on small business wouldn’t a regular feature on legal aspects, wealth management, time management, leadership, and marketing be an awesome way to develop readership and traffic – particularly if all of your regular contributor help spread the word with each new post. The roundup post has been with us for some time, but I still think it’s an effective way to produce useful content and draw links, shares and traffic. The idea is pretty simple. 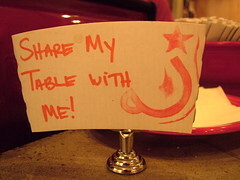 Come up with a question asking people to predict trends for the coming year or share tools they use every day or to express an opinion on a current event. Gather up a dozen or so responses, link to the respondents, and add your own commentary to sum up the post. Then reach out to your respondents and share the finished post. You’ll be surprised how many people participate if you keep the ask simple and also how many people willingly share the post to help spread their own influence. Since you’re not asking for the moon, you might reach a bit and ask some folks you admire – just remember the bigger they are, the less motivated they might be to share. Here’s an example of a roundup post I did a while back using this technique. This one goes hand in hand with my advice to podcast, but all we are really talking about is creating audio content. Think about making a hit list of industry leaders, community leaders, prospective clients even and setting up interviews to get their take on things, their story or their challenges. This is a great way to produce useful content, gain access to people you might want to meet and in all cases create interested parties motivated to share their interview on their site and with their network. One power tip on this one – as you interview guests ask them if they know someone else who might make a great interview – this can help you get ideas as well as introductions. I’ll end with a hidden gem for the right person. If you attend industry events you might score some big traffic by offering to live blog or even just recap social media shares from an industry conference. Smaller conferences, in particular, might not have a dedicated staff member to do this and would welcome you as the “official” blogger for the conference. The interesting thing about this approach is you don’t really need permission you can be the unofficial event blogger and for that matter with social media you might not even need to be at the event – just grab highlights from the event hashtag. 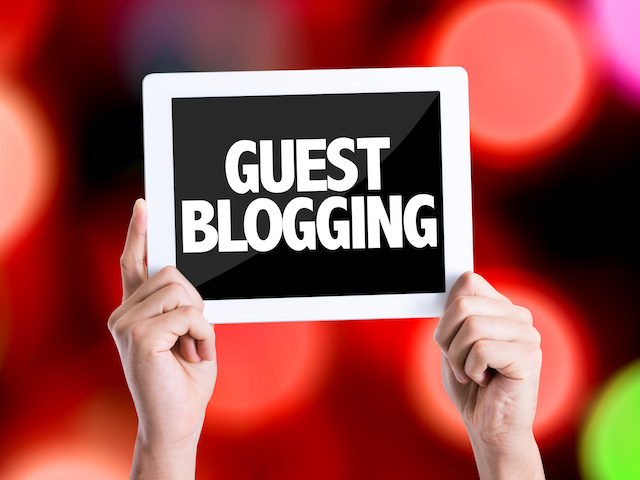 Guest blogging has grown up to be a foundational element of traffic, influence and authority building and should be a key element of any content marketing plan.